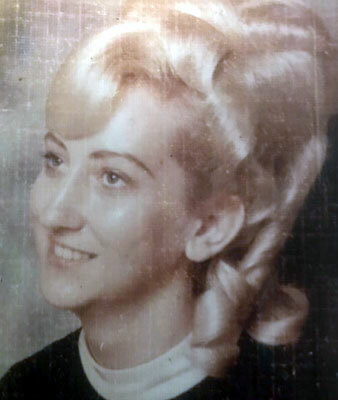 YOUNGSTOWN - Services will be held at 11 a.m. on Monday at the Higgins-Reardon Funeral Homes, Austintown Chapel, for Pamela Vega, 72, who passed peacefully Thursday evening at her home. She had worked for Meals-on Wheels and as a sight manager at the Zion Lutheran Church. Mrs. Vega was a member of the former St. Andrews Episcopal Church, Eagles aerie No. 3298 of Austintown and was a member of the West Elementary P.T.A..
Pam is survived by her husband, Albert Vega, whom she married Dec. 13, 1968; two sons, Vincent P. (Christin) Vega of Youngstown and David L. (Colleen) Vega of Austintown; and three grandchildren, Jacqueline Vega, Cassandra Vega and David Vega, Jr. Besides her parents, she was preceded in death by a sister, Marcia Napolitano and a brother, Paul Wilkie. The family has requested that material tributes take the form of donations to Hospice of the Valley in Pam’s memory. Friends may call Sunday from 4 to 7 p.m. and Monday from 10 to 10:45 a.m. at the Higgins-Reardon Funeral Homes, Austintown Chapel.